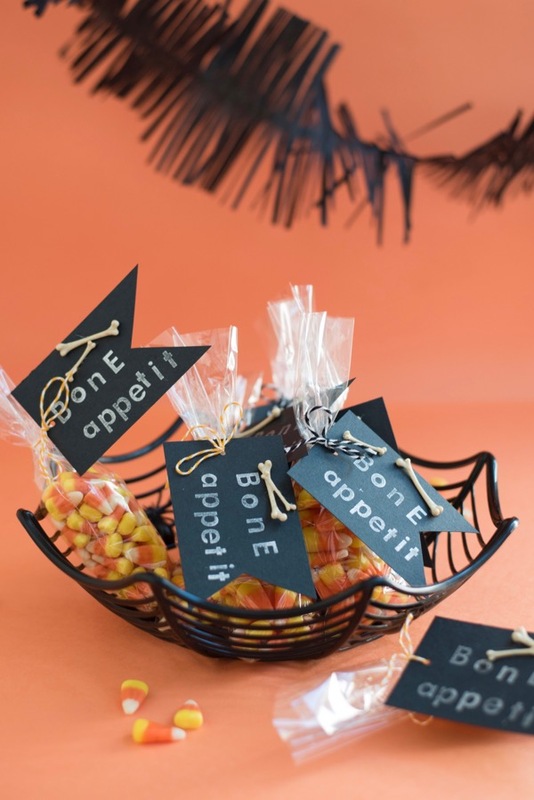 Want to score some extra bonus points this Halloween? 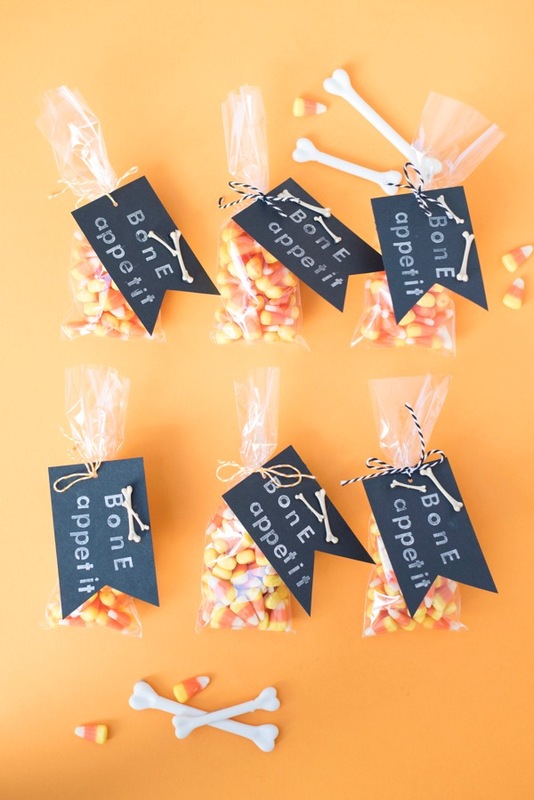 Fill some cellophane bags with candy corns, stamp some cheeky “Bone Appetit” tags, and add some cute mini bones. 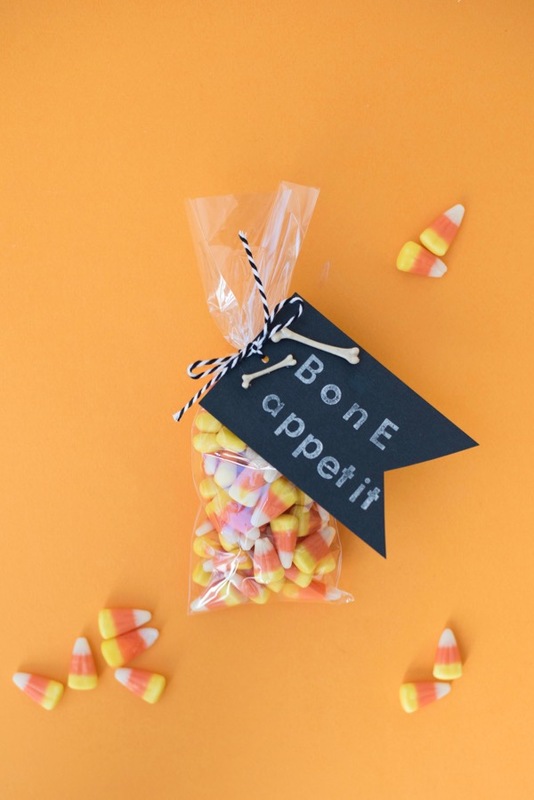 Easy, peasy, Halloweenie! 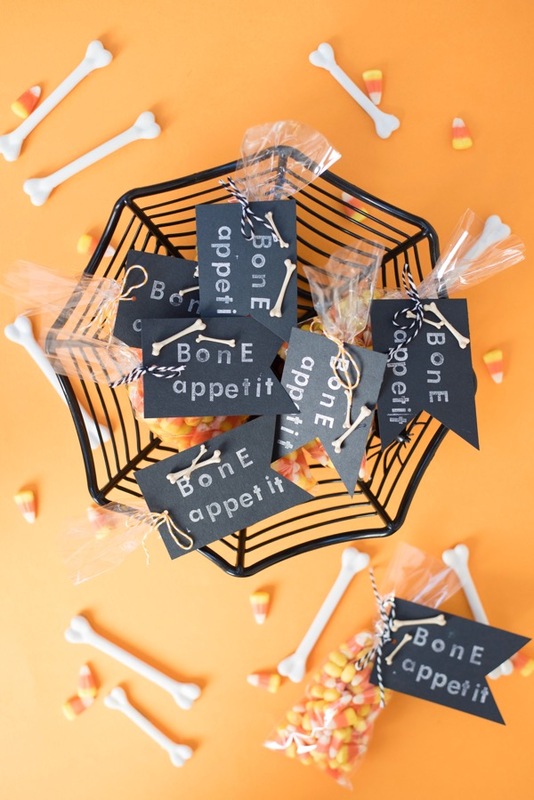 Materials needed: 3” x 8” cellophane bags, black cardstock, scissors, alphabet stamps, silver ink, hole punch, hot glue gun, black and/or orange baker’s twine, miniature plastic bones. 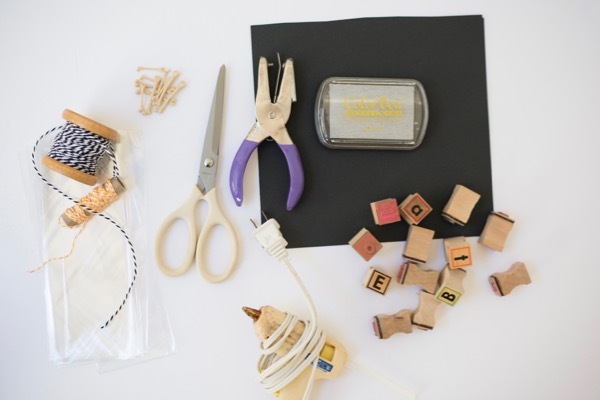 Step 1: Cut a 2 ½” x 4 inch rectangle of black card stock. Notch the right side. 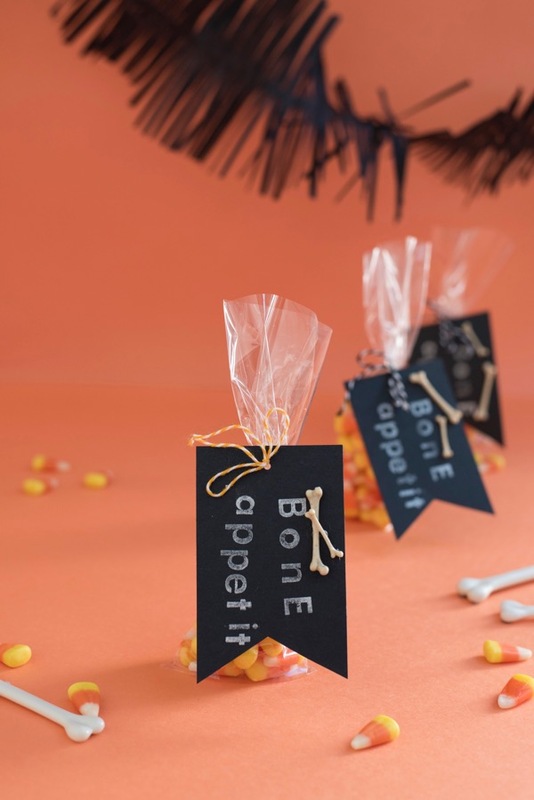 Step 2: Stamp the words “BONE APPETIT” on the cardstock. Let dry. Step 3: Punch a hole in the center of the left edge. Step 4: Glue two miniature bones onto the tag, wherever there is room. 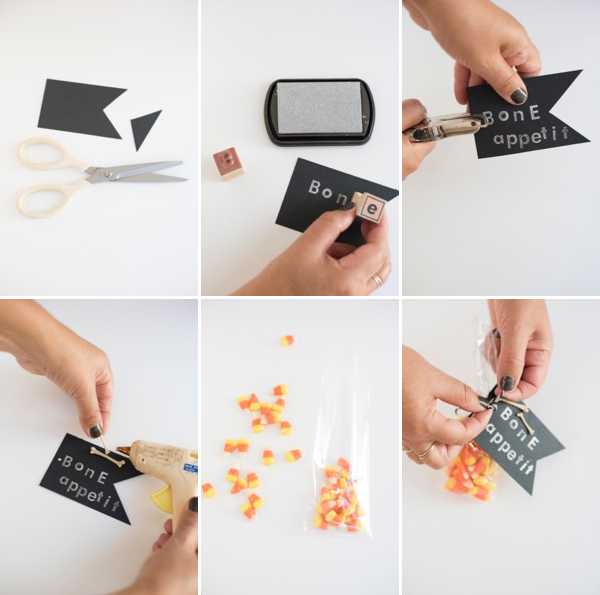 Step 5: Fill a cellophane bag with Halloween treats. Step 6: Attach the bone tag with baker’s twine. Loving all the Halloween puns this year!